In recent months, former Indiana Senator and Congressman Dan Coats, announced his intentions to challenge the senate seat of Indiana Democrat Evan Bayh in the November 2010 mid-term elections. Coats is a 1965 graduate of Wheaton College and currently serves on the institution’s Board of Trustees. [Updated: Dan Coats was elected to the U.S. Senate in January 2011]. Below is a transcript of the May 17, 1992 undergraduate commencement address given at his alma mater on moral conflict and the limits to compromise. It was first published in Wheaton Alumni magazine (Fall 1992). An audio recording is available here. Moral principles, in our tradition, are generally clear and unavoidable. We knock our heads against them with regularity. They are hard to follow, yet not hard to define. But some of the greatest agony I’ve known as a member of Congress has come when those clear, commanding moral precepts collide in conflict. How do you make a decision between a better environment and the jobs it will cost? The dignity of employment and our stewardship over creation both demand moral attention. Is a cleaner river worth regulations that eliminate 30 jobs, 300 jobs, 3000 jobs? How do you weigh cleaner air against the broken spirit of the unemployed? How do you choose between fighting poverty and fighting dependency? How do you pursue generous compassion when it risks the slow destruction of the soul and spirit we see in generation after generation of a welfare underclass? How do you choose between a reverence for life, and the use of fetal tissue from existing abortions to treat the victims of Parkinson’s Disease? How do you provide hope to those who suffer, when it risks covering the horror of abortion with a veneer of scientific progress and public service? This is not the politics of triumph and trumpets. It is the occupation of restless nights and troubled days. Sometimes every option is tainted by suffering and sin. Sometimes each alternative is made uncomfortable by a hybrid of good and evil. Sometimes we are left with the murky battle between bad and worse. This is not relativism. The principles themselves are clear and immutable. But in a fallen world, one is often set against the other. Stewardship against compassion. Generosity against independence. Respect for life against the suffering of the sick. It means something very personal for those who participate in these choices. No matter what decision is made, the outcome will cause doubt. It means loss of certainty and peace. It means mistakes, self-reproach, and guilt. It means scar tissue and calluses. You find that character sometimes consists of how you act on the second or third try. You find that integrity is a voyage, not a harbor. This, as they say, is the real world–with its fogs of morning and evening, and its sudden storms. Sometimes the greatest enemy is paralysis. An odd courage is needed to choose when a choice is torn by moral conflict–to walk in an unfamiliar land without landmarks. After the facts are collected, after the principles are defined, after the prayers are offered, a decision is required. Those who make them carefully are left drained of self- righteousness. Moral choice begins with surrender. It completes itself in humility. You begin to understand, with Dietrich Bonhoeffer, “It is not Christian men who shape the world with their ideas, but it is Christ who shapes men in conformity with Himself.” The response of some is to withdraw and separate. They have my respect, but not my agreement. Men and women were not made for safety. It has been said that the fullness of life is in the hazards of life. And, even in our worst failure, we experience the powerful alchemy of the resurrection, which turns defeat into victory. I am not a theologian. But I sometimes suspect that this is what Martin Luther meant when he urged, “Sin boldly.” We must have the courage to act in uncertainty–even with tainted options. It is the unavoidable burden of freedom in a fallen world. As G.K. Chesterton said, “Even a bad shot is dignified when he accepts a duel…If a thing is worth doing, it is worth doing badly.” So far, much of the world would nod in agreement about conflicted moral choices. Many already use the fact as an excuse for self-serving compromise. Many don’t really want a struggle, they want an alibi. But there is something more to say. When we strip away the years of uncertain decisions; when we peel away the regrets and mistakes and scars, layer by layer; hopefully, we finally discover a core where we keep ourselves. Everything we eventually become is a shadow cast by its shape. We are called to an obedience that is easily misunderstood. We are asked to be hard where the world is soft. We are soft where the world is hard. We call homosexuality, for example, by its proper name: sin. But we must comfort AIDS patients with our love and our touch. We speak for moral absolutes: unchanging, eternal–but we have a particular call to accept and care for the morally spent. Where the world wants velvet, there is steel. Where it expects thunder, there is unspeakable peace. This is often resented by a world that burns the wheat and gathers the chaff. An individual with a core of belief is strange by its standards–particularly a belief that someone will willingly die for. In every age, this kind of witness has broken the back of predictable human history. And it raises questions that you will need to answer. Where do you locate that core of the self which cannot he moved? What wouldn’t you trade in a world of barter? What are you sure enough to live for? What would you cheerfully die for? In what cause are you willing to make war against the whole world? Convictions like these may lead you into conflict, even suffering. You may know a season of darkness. But it’s said that integrity is perishable in the hot, summer months of success. And it’s said that character, like a photograph, develops in darkness. Without an uncompromising core of the self, introspection is endless and useless. Men and women become captive to their own doubts. Confusion is their native land, And finally, they lose the ability to believe in anything–even in their courage. Our identity is something that can be squandered–when compromise reaches that area where we locate ourselves. Finally, at the center, we are empty. And the echoes of lost integrity no longer even disturb our dreams. Men and women come to the core of the self by different paths. For some that path is easy–like a gift. For others it is hard–like a trial. But those who have abandoned the journey have already reached their destination. And it is despair. Our promise is not a life free from mistakes, doubt, and moral conflict. A fallen world means fallen choices. But there are limits to compromise, set at the boundaries of the soul. And there are times when even subtle men, careful men, practical men, must turn to unyielding iron. 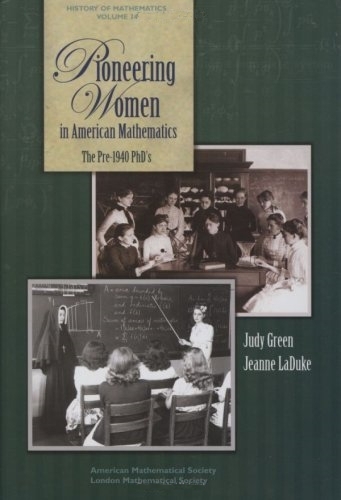 In the recently published volume from the History of Mathematics series, Pioneering women in American mathematics: the pre-1940 PhD’s, Judy Green and Jeanne LaDuke tell the story of Fanny Boyce, one of the few pre-1940s female PhDs in mathematics. Fannie W. Boyce was born March 16, 1897 near Lentner, Missouri (Shelby County). As a child she moved with her parents, George Wesley and Mary Virginia Boyce, and siblings to Colorado. Boyce attended grade school while in Colorado Springs before the family moved to University Park, Iowa where she attended high school and began college. She attended Central Holiness College (later named John Fletcher College and then owned by Vennard College). Boyce had begun teaching in 1930 and rose through the ranks to full professor. She retired in 1962. 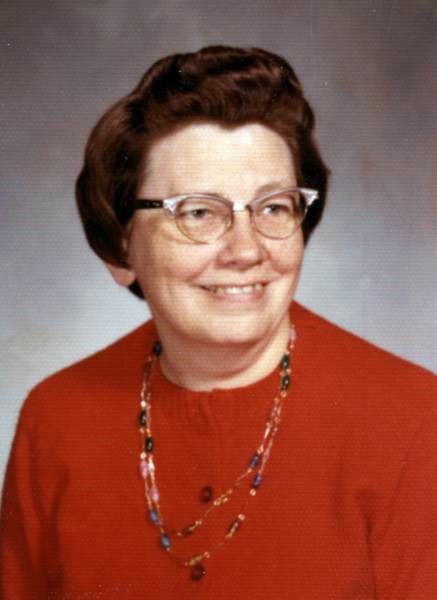 She then returned to Olivet (now Olivet Nazarene University) and taught mathematics for seven years. In 1970 she taught another year at Owosso College in Michigan. She retired to Wheaton, Illinois. She died in February 13, 1986 at a health care center in nearby Lombard. 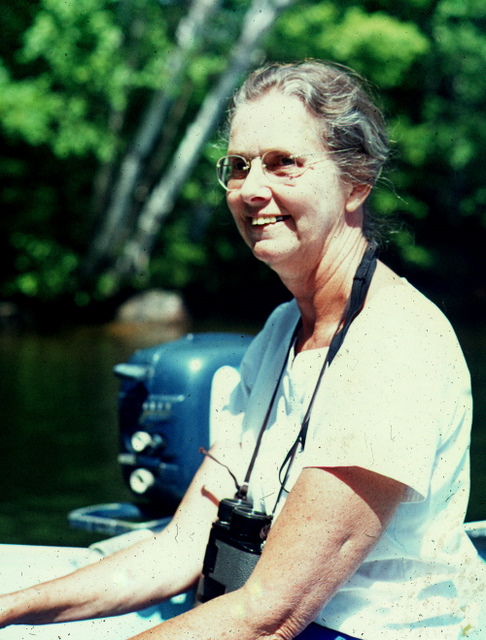 Margaret Clarkson wrote this text about the work of the Holy Spirit during the summer of 1959 at the Severn River, Ontario, Canada upon request by Stacey Woods, General Secretary of Inter-Varsity Christian Fellowship in Canada and the United States. 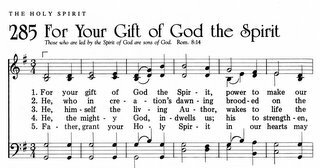 “For Your Gift” is the best teaching text on the Holy Spirit. Inspired by biblical passages about the work of the Spirit in creation, the church, and our personal lives, this text reads like a study of the doctrine of the Holy Spirit. It is a splendid example of sung theology, which brings our heart’s confession onto our lips. In liturgical settings it is appropriate for Pentecost and many other services ( Psalter Hymnal Handbook). The papers, library, and assorted materials of E. Margaret Clarkson, teacher, author and hymnwriter, are held in the Wheaton College Archives & Special Collections. The collection contains personal papers, articles, manuscripts, hymns, books reviews, and correspondence, as well as her personal library of over 600 books on theology, poetry, hymnody, and many other subjects. 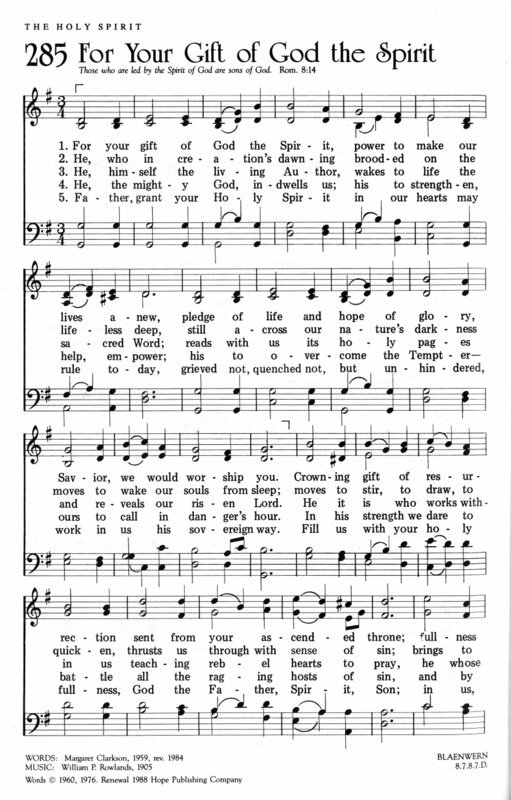 The full lyrics of the hymn are as follows. Jesus Christ is my Savior and Lord. He has saved me (Acts 16:31) and cleansed me of all my sins. He lives to make intercession for me and give me strength to do the things He has for me to do (Phil 4:13). My life purpose is all in Him (Heb. 13:8). 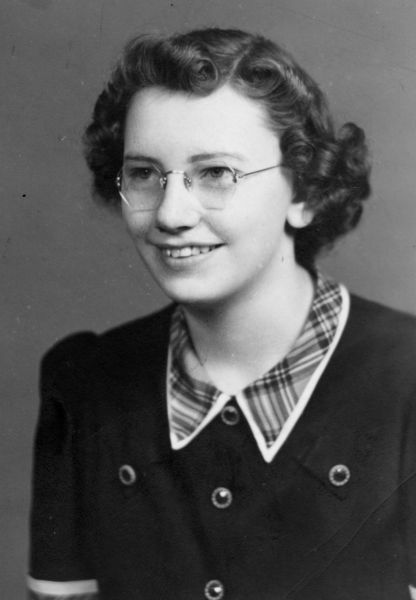 Rooming at Wayside Inn on the edge of campus, she studied Christian Education and participated in Foreign Missions Fellowship, which sought to inculcate a “…passion that the student world might be stirred with the challenge of foreign missions.” Her life purpose secure, she pursued additional studies and acquired her certification before entering the mission field in 1950, serving with Baptist Mid-Missions in Brazil. But failing health brought her home after only two years. Undaunted, Miss Lovell recovered and moved to Japan, teaching at a school for military children before circumstances again returned her to the States, and soon she gained employment at a public grade school in Rochelle, Illinois. Researching further, the boy learned that she was a constant member of First Baptist Church, where she taught 6th grade girls and sat on the missions committee and continuously wrote letters to missionaries, sometimes visiting them on faraway shores at great personal expense. He learned that she relished hosting furloughing missionaries in her home and that she willed her humble property to the church. Her prayer card for Brazil states: “There is a responsibility for those who remain in the homeland, and that is the ministry of prayer in behalf of those whom He calls and sends forth with the precious seed of life.” As she had requested, the Lord indeed granted Miss Kathryn Lovell strength for what He needed her to do. When the boy’s faith finally warmed again and he heard of her death in 2001, he regretted that he’d never had a chance to thank her for being the first adult to seriously affirm his decision on that splendid autumn night, and for standing as an impassable testimony when the winds of doubt and worldliness flattened lesser soldiers. No longer a boy, he is pleased, too, that the sunlit affirmation she now receives far outshines any threadbare praise he or any other grateful heart could ever offer. In early March 1965 half of Alabama’s population were black and only one percent of them registered to vote. Despite the Civil Rights Act of 1964 being signed eight months earlier by Lyndon Johnson, very little headway was made in dismantling the Jim Crow structures in areas of the South. In Alabama, particularly in Selma, efforts were made to quell the work of those seeking equality and civil rights. One week after the signing of the Civil Rights Act, Selma’s Judge James Hare forbade any gathering of three or more people to further civil rights work. The Dallas County Voters League called upon the Southern Christian Leadership Conference (SCLC) to help them to call attention to the inequalities. The SCLC responded. The Southern Christian Leadership Conference came to Selma in the early days of 1965 to begin working on voter’s rights. On February 18, 1965 Alabama State troopers clashed with civil rights workers and a trooper killed Jimmie Lee Jackson as he sought to protect his grandfather. 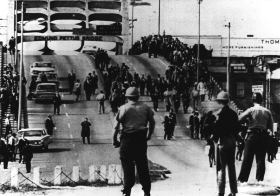 The first march, which took place on March 7, 1965, was called in response to this shooting and was planned to go to Montgomery to confront Governor George Wallace with the voting inequities and shooting. 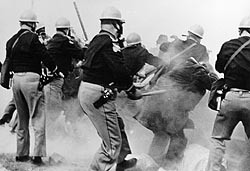 This initial march, later referred to as “Bloody Sunday,” gathered a crowd of 600 marchers who were brutally attacked. The march began quietly, but once marchers crossed the Edmund Pettus Bridge state troopers began to beat marchers. Tear gas was also used and mounted troopers charged into those gathered, leaving many bloodied and injured with seventeen marchers hospitalized. The news of the brutalization during the march was televised around the country and stirred many to action. Dr. Hudson Armerding was shocked at the police brutality and sent a telegram to Governor George Wallace. This telegram was read in chapel held on Monday, March 8th. Robert Orth, in his entry in an online guest book for memories of Dr. Armerding after his passing in early December 2009, said that this action for justice made him proud. Others were also stirred to action. Wheaton College seniors Randy Baker and Bob Vischer left Wheaton that Monday afternoon and arrived in Selma the next morning before the 11 am meetings preparing for a second march. Vischer said he “could think of no better way to express my concern than through action” (Wheaton Record, March 18, 1965, p. 1). The second march took place on March 9 with Martin Luther King, Jr. calling clergy and citizens from across the country to join him. Due to the violence of Bloody Sunday, efforts were made to try and prevent another outbreak of violence. The SCLC sought a court order that would prohibit the police from interfering. Unfortunately, the injunction was not granted, but, instead, Federal District Court Judge Frank Minis Johnson issued a restraining order that prevented the planned march. Despite the restraining order, 2,500 marchers began to walk toward the Edmund Pettus Bridge and were again met by a large line of troopers. After a short prayer session King encouraged the marchers to turn around. Though there was no violence at the march, that evening Rev. James Reeb and two other ministers in Selma for the march were beaten. Refused treatment in Selma for his injuries, Reeb was taken to Birmingham. Here he died two days later. While in Selma Baker and Vischer averted a violent clash as they were leaving town. As they walked in downtown Selma the two were confronted by four white men asking “where they were marching.” Baker was grabbed and hit. Extracting themselves they fled to their car. Vischer recalled the sense of fear he had in that moment and, with empathy, described the plight of blacks in Alabama. A third march from Selma began with federal protection on March 21 and lasted five days, making it to Montgomery over 50 miles away. On August 6, 1965, the federal Voting Rights Act was passed. This brought a culmination to the efforts of King and the Southern Christian Leadership Conference in Selma. 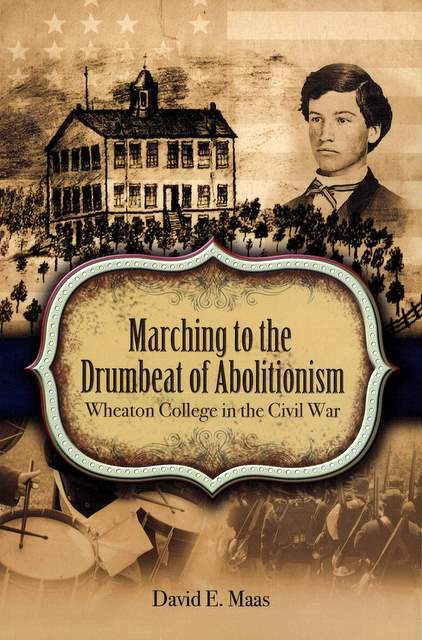 On the occasion of the 150th Anniversary of Wheaton College, Marching to the Drum Beat of Abolitionism: Wheaton College and the Coming of the Civil War by Dr. David E. Maas (Wheaton College Press, 2010) is being published as part of the college’s year long sesquicentennial celebration. Dr. Maas has always had a professional interest in the story of the “losers” and neglected average people in American history. Trying to uncover their stories has led him most often into primary documents in local history. After graduating from Wheaton College (B.A. History, 1962) he pursued graduate studies at California State University at Los Angeles (M.A. History, 1964) and received his doctorate from the University of Wisconsin, Madison (Ph.D. History, 1972). 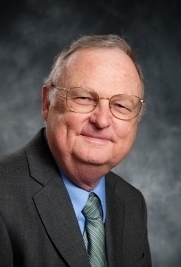 His personal interests mainly revolve around his family: wife (Bobbie) of 48 years, 4 children (David, Pam, Beth, and Daniel) and 13 grandchildren. 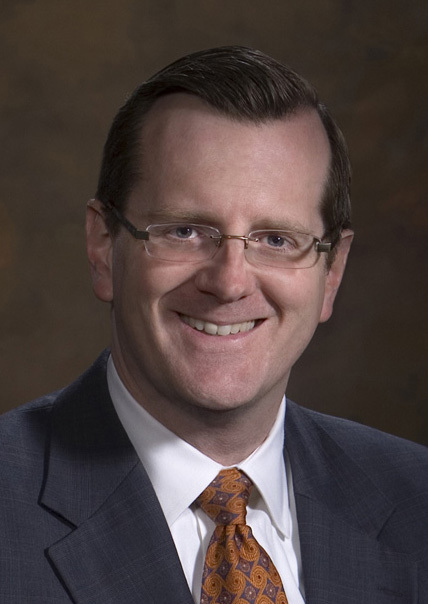 Dr. Maas ran a professional photography business from 1972 until 2004; in his spare time he enjoys fishing and reading. In recent weeks Raymond Joseph, as ambassador to the United States since March 2004, has been the international face of Haiti and the tremendous struggles that his impoverished nation has gone through since the earthquake of mid-January. He, like many of his fellow countrymen, has expressed a resiliency and a strong faith in God during harrowing times. In Haiti Raymond Alcide Joseph is mostly known as a journalist (with the Haitian newspaper, the Observateur) and radio personality. 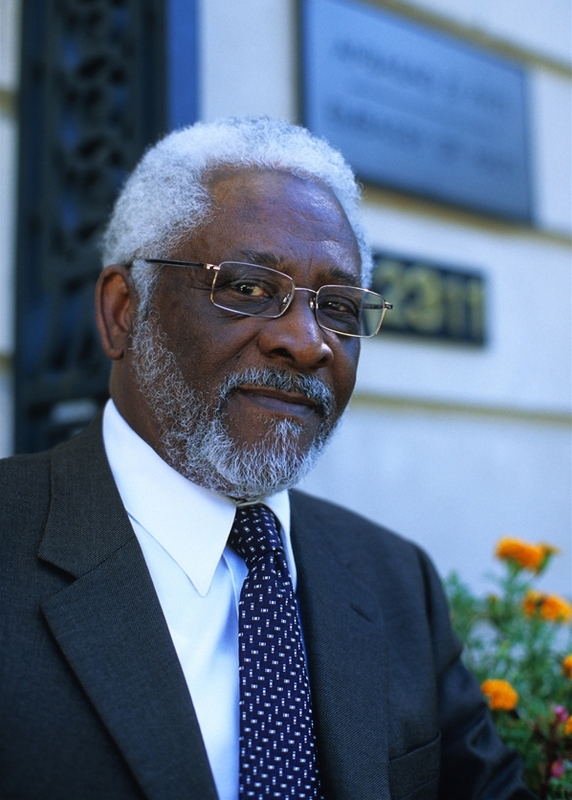 He was a vocal opponent to the Duvalier dictatorship that brought much suffering to Haiti. To voice opposition he founded Radio Vonvon (Radio Bug) and Rayon Limye (Rays of Light). Radio Vonvon became so influential it was called the “6 O’Clock Mass” as it was broadcast at 6 o’clock in the morning and was the way many started their day. Though Mr. Joseph sought to bring about change and be an influence for good through these media, one of the ways in which he has brought a more lasting influence has been through his work to translate the Bible into Creole. Joseph attended Moody Bible Institute in Chicago and, afterward, received a Bachelor of Arts in Anthropology from Wheaton College. Later he also obtained a Master’s degree in Social Anthropology/Linguistics from the University of Chicago. Joseph, a journalist-turned-diplomat, is the son of a Baptist preacher. In his youth he wondered why the Bible was available in French — the language of Haiti’s elite — but not in the people’s tongue, Creole. 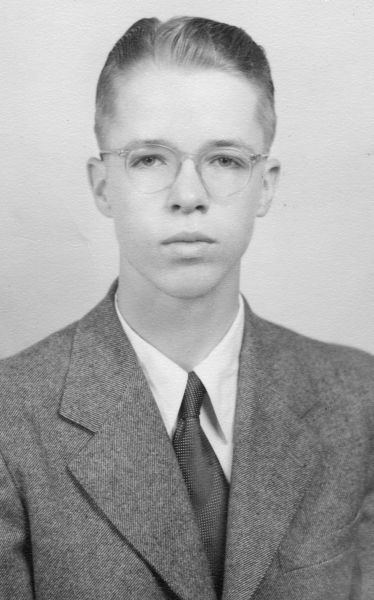 In late 1960 Joseph began translating the first New Testament and Psalms in Haitian Creole under the auspices of the American Bible Society in October 1960. Joseph recognized that Luther’s translation of the Bible into the vernacular of his culture (from Latin to German) changed German society.